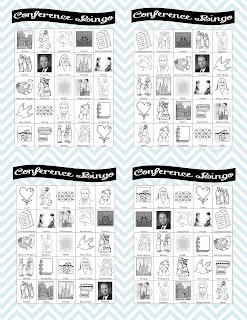 There are 12 different cards to mix things up! 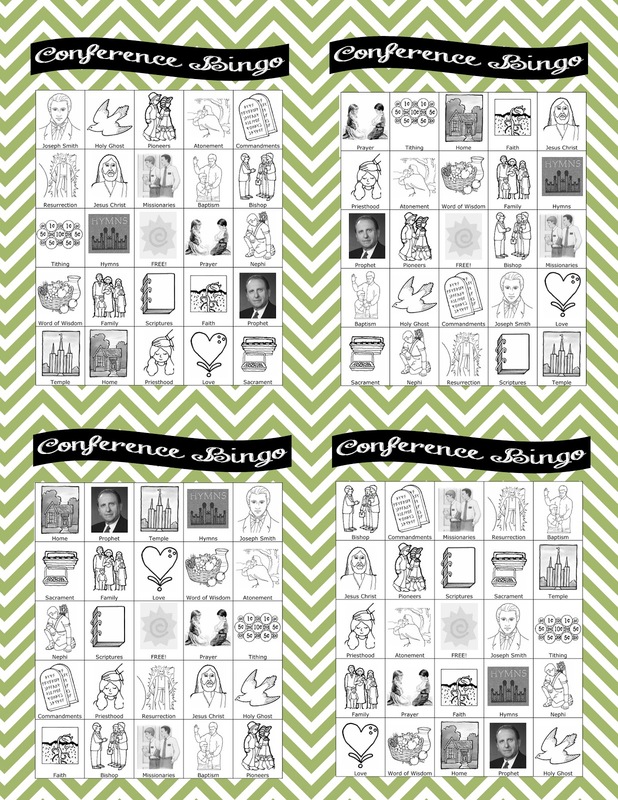 Thanks to Rachel Bruner for creating the bingo cards. 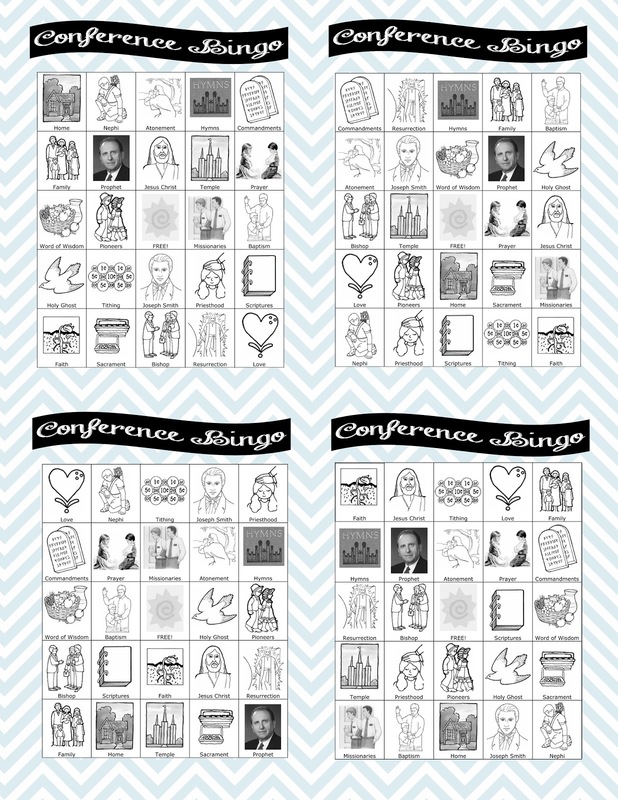 You can get a simplified version here. 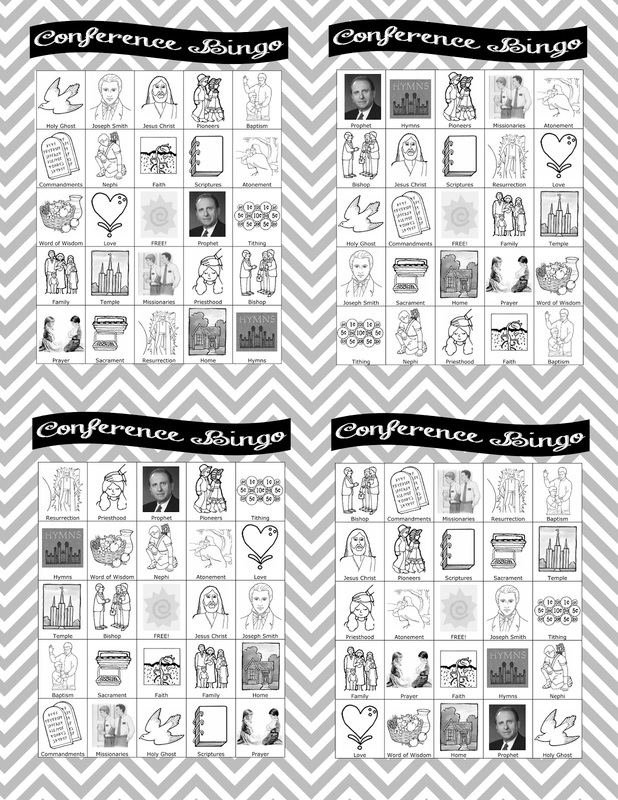 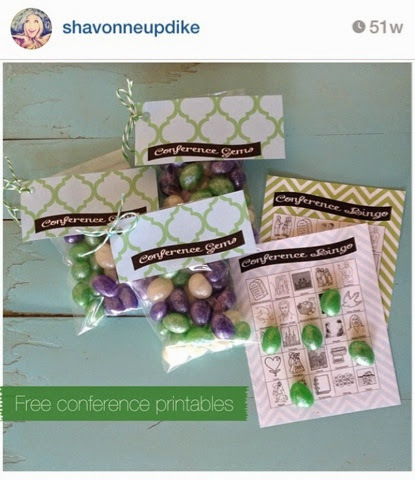 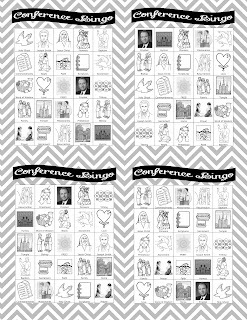 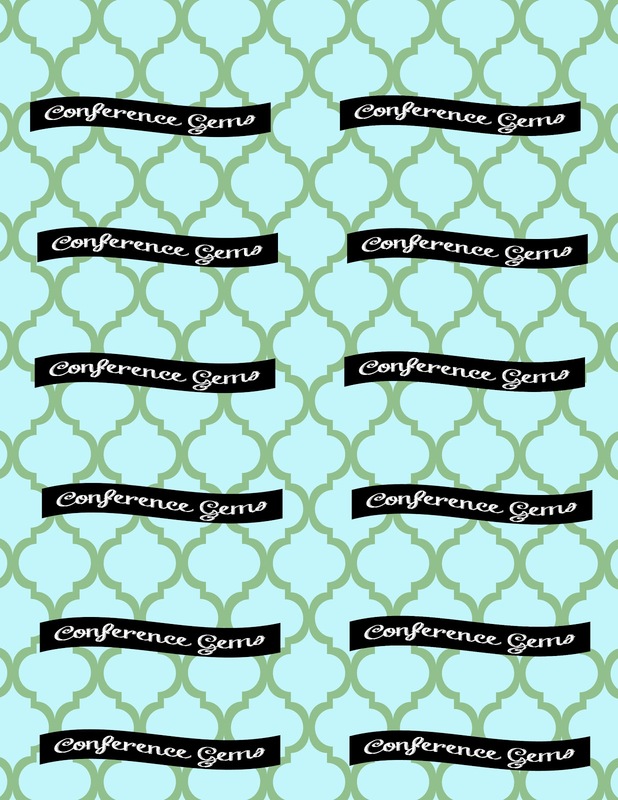 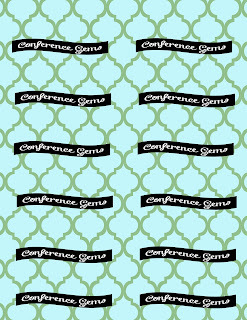 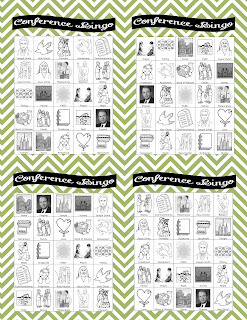 Hope these help your littles enjoy conference a little more!